Port Vale have signed Blackburn Rovers striker Jordan Slew on loan until the beginning of January. The 21-year-old is in line to make his Vale debut in Saturday's League One home game against Chesterfield. Slew started his career with home town club Sheffield United before being signed by then Rovers manager Steve Kean for £1m in August 2011. Having made two first-team appearances for Rovers, this will be his fifth move away from Ewood Park on loan. Slew has also had spells with Stevenage, Oldham Athletic, Rotherham United and in the Scottish Premiership with Ross County. 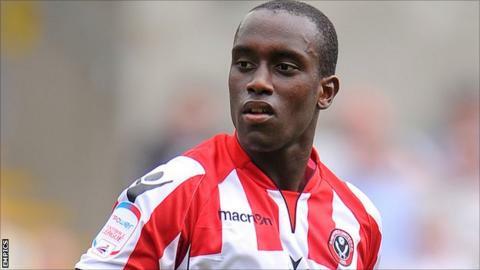 "I worked with Jordan at Sheffield United and I'm excited to be working with him again," said Vale boss Micky Adams. "I know that a confident Jordan Slew will be a great asset. "He's big and powerful with an eye for a goal. We hope that a loan move until January can benefit us both."